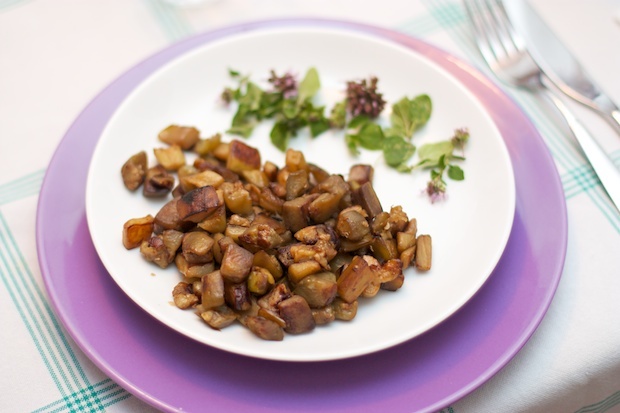 If these features are not present, cook the eggplant in another way. I am very fortunate to have a vegetable garden. 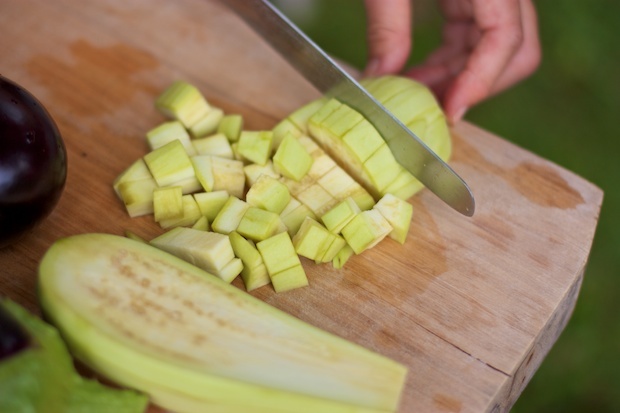 I pick the eggplant just a few minutes before starting the preparation, so I can enjoy all the goodness of this vegetable. 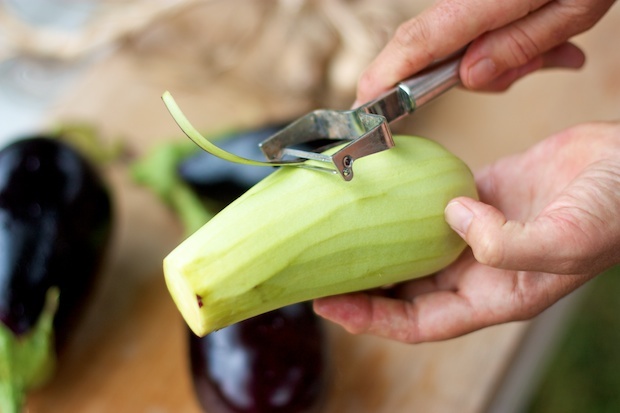 Peel the eggplant using a potato peeler. In a large frying pan add in the olive oil and cloves of garlic. 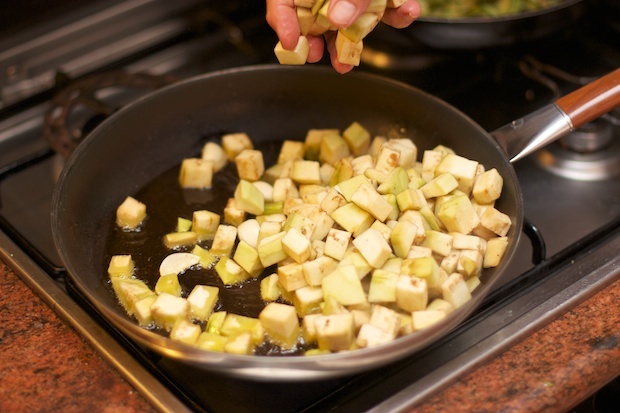 Warm up the olive oil and garlic and when it is very hot, add in the eggplant. Add the salt and bouillon granules. 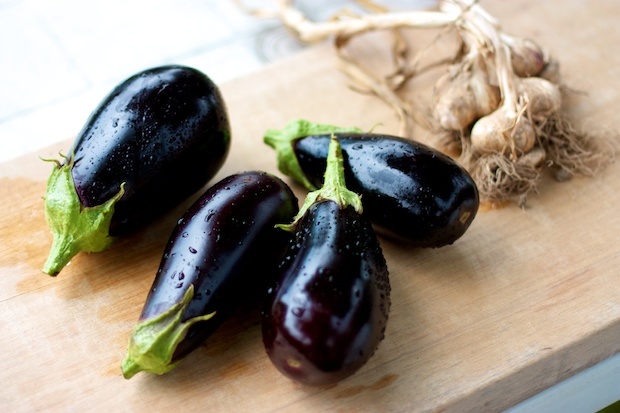 With a silicone spatula, continuously turn the eggplant, not in a circular motion, but with flipping gestures from below and above as if it were grilled eggplant. The burner must remain high and the eggplant should stand still for only a moment. When they are roasted, turn off the burner and serve as side dish with meat and fish or as a stand alone vegetarian dish.